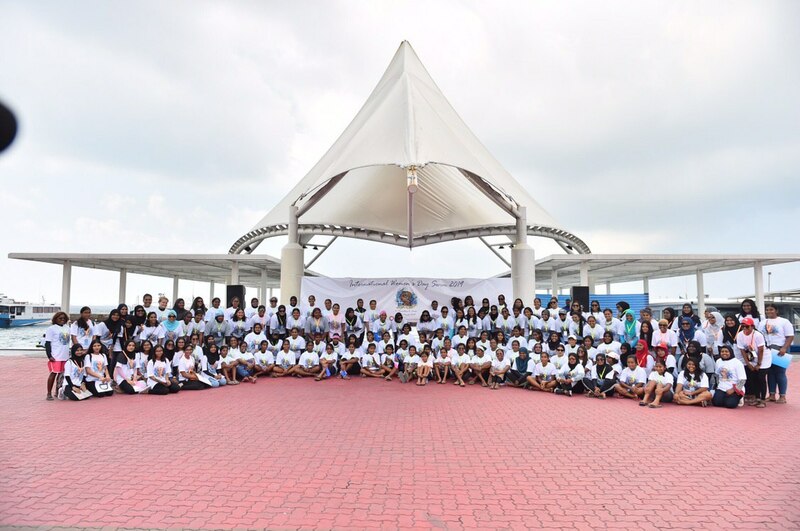 First Lady Fazna Ahmed has participated in the "Break the Barrier" women's swimming event, organized by Maldives lifeguard Association to celebrate this year’s international women’s day. The 7 kilometers women’s only swimming event was commenced this evening at Male’ Atoll Fonadhoo and ended at Izzuddin Jetty. More than a hundred females participated in this swimming event.